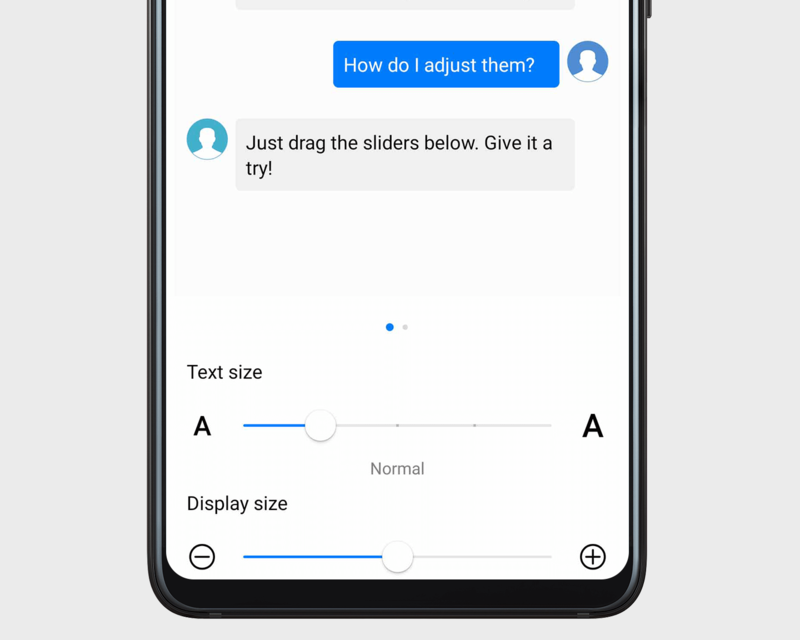 Open Settings, touch Display > Text and display size, and drag the sliders to adjust. Text size: Only controls the size of text on the screen. Display size: Controls the size of all interface elements, including text and images.